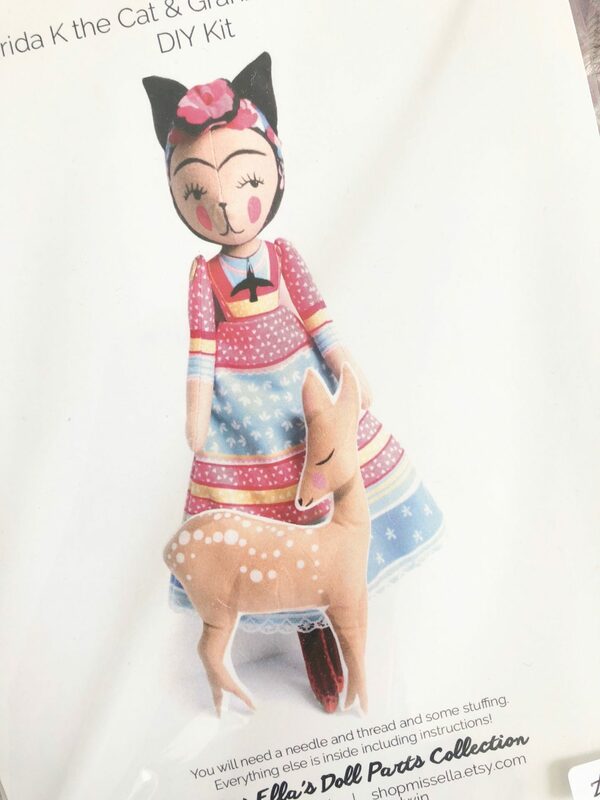 I bought this gorgeous doll-making kit from a little shop near to where I live called POP!. 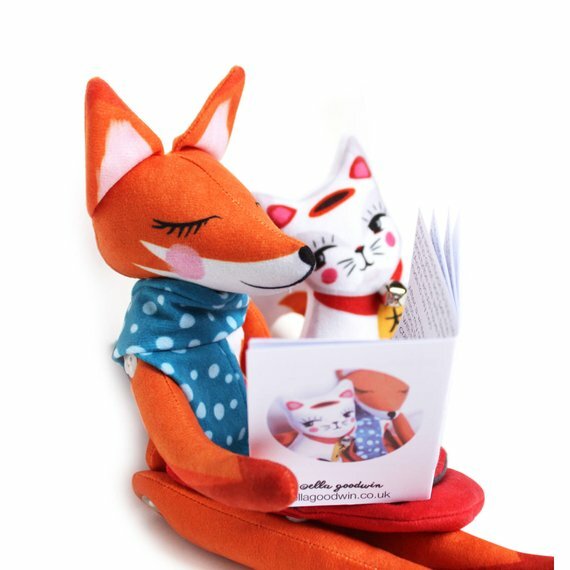 I had no intention of making a doll (it’s not like I’m particularly swimming in spare time at the moment) but the pictures on the front of the kits were just so cute that I couldn’t resist. I can’t tell you how difficult it is to actually make the doll as I haven’t even opened the packet yet (check on me this time next year) but it does say that the doll height is 35cm, which I was pleasantly surprised by because I thought that it would make some piddly little thing the size of a finger puppet that the dog would eat and then eventually pass into the flowerbed. 35cm! I’m wondering whether I can stuff the doll with lentils or beans, like a bean bag doll, because I always like the weighting of a bean bag doll. In fact (riveting anecdote alert!) the last thing that I properly “crafted” that wasn’t a dolls house miniature item was probably the frog bean bag that I made out of felt in 1991. If this make-your-own dolly has tickled your crafting fancy (not a euphemism) then take a look at Ella’s doll kits here*, they cost £15. 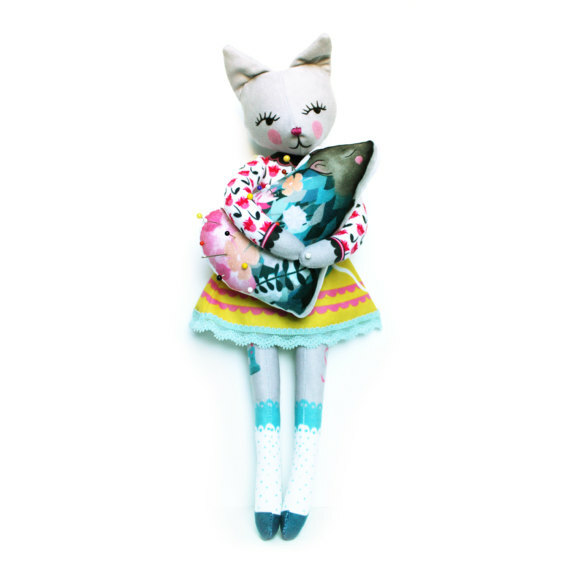 Update: you can also get the dolls ready made, as proper dolls, no sewing or stuffing required! 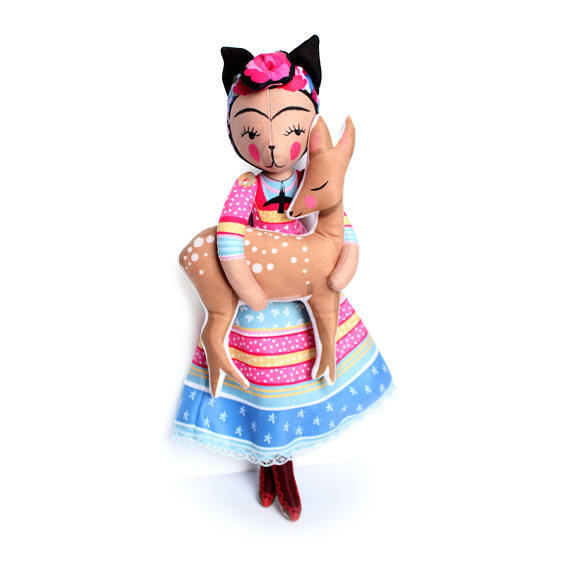 The one I have, Frida and her Fawn, costs £35.47 here*. But I think that the kits make for excellent presents, don’t you? 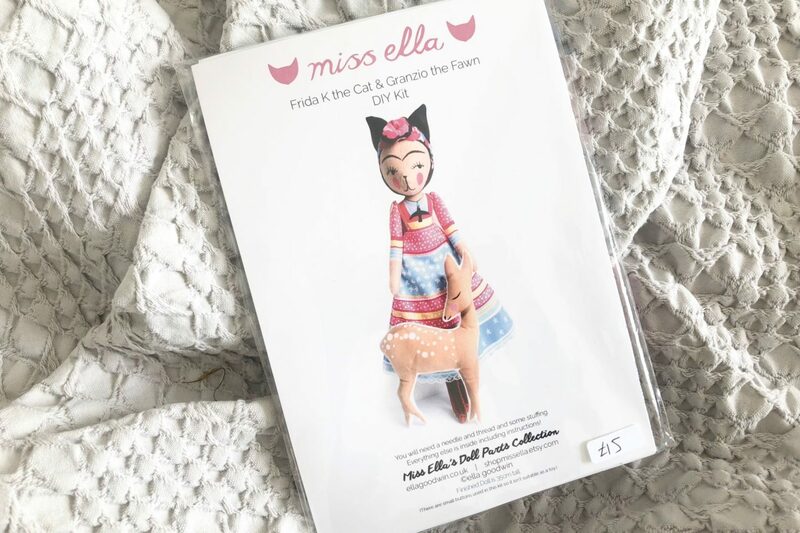 I like the foxy one and there’s also a “cat lady” doll that’s great – I’ve been having a good browse on Etsy and Ella’s illustrations and prints are gorgeous. Well worth checking out. Ahhh thanks so much for sharing this! She’s not too hard to make, give it a whirl! This is such a fab post, thank you! I would totally watch a long live video of you making the doll and answering questions/chatting away. An excuse to pull one of my own “things I’ll never get around to making” out of the cupboard and craft along with you! I always fantasizes about being crafty as well, but never get over the buying stage. Aww they are really sweet. It’s the kind of doll that you would find in your parents attic years after you move out, and all the happy memories would come flooding back.